Living where I do, winters are long. By February I am pining away for spring, pouring over my garden photos from last season and thinking about all the beautiful, warm places in the world and how to possibly escape to one of them. 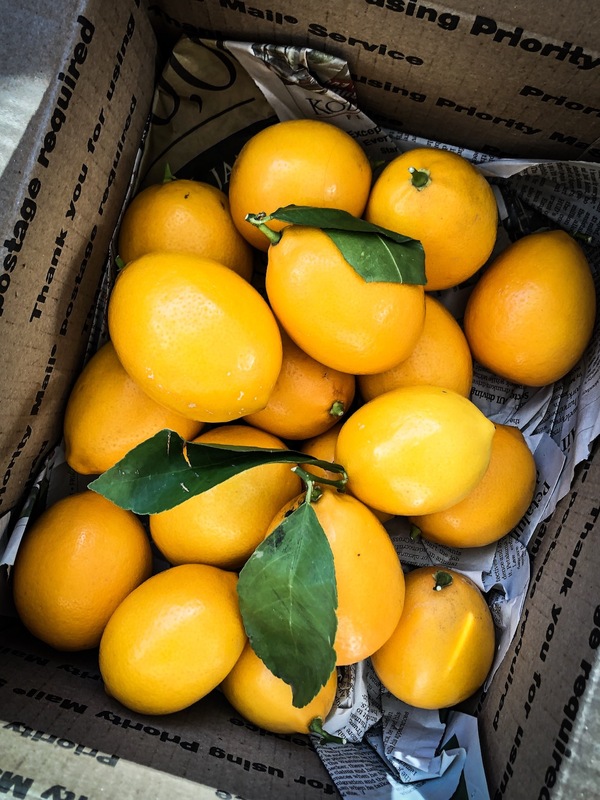 Some years bring more challenges than others, and this particular winter has shaped up to be one of the more challenging ones, so imagine my delight when on a frigid, snowy day, the mail carrier delivered a box to my house- I opened it to find it packed with fresh Meyer lemons- picked by a friend from her backyard tree in Healdsburg CA! I simply cannot imagine a better gift than this ray of sunshine delivered, hand-picked to my frozen front door. Worth their weight in gold for sure. Thank you so much Liz and Rich! So how to make the most of these jewels? First came a Meyer lemon roasted chicken, stuffed with lemons and garlic, (the zest slipped under the skin- yum.) Next, I made a soothing nettle, mint and Meyer lemon tea with my daughter’s home grown stinging nettle, dried from last summer. Then came my favorite Meyer lemon curd, to eat with scones and to bake into tarts, topped with meringue. I preserved the last three lemons in salt with Moroccan spices, so we’ll be breaking into those babies for a tagine in about a month. 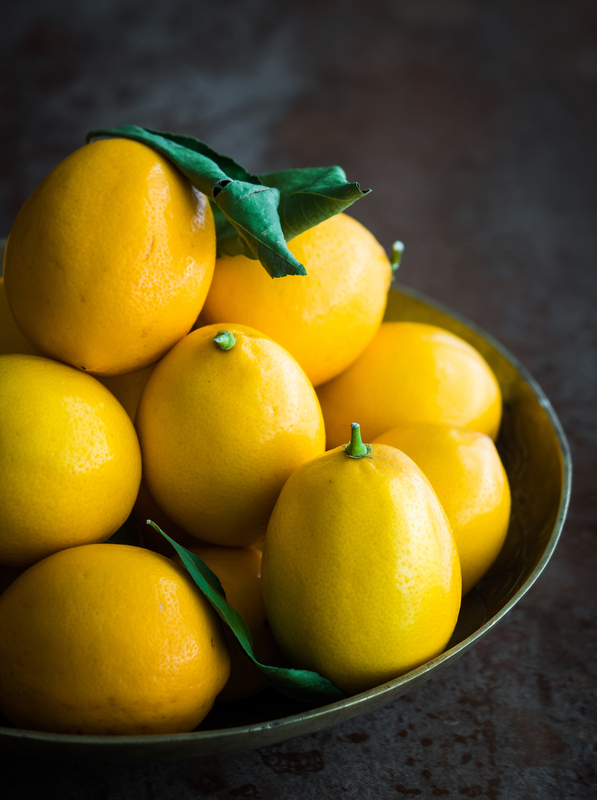 Meyer lemons are smaller, sweeter and more orange-colored than standard lemons. They’re tart, and they have a subtle orange flavor- almost a cross between a lemon and a mandarin orange. They make an amazing curd. One of my favorite curd recipes comes from The Cook’s Atelier, I love that site. 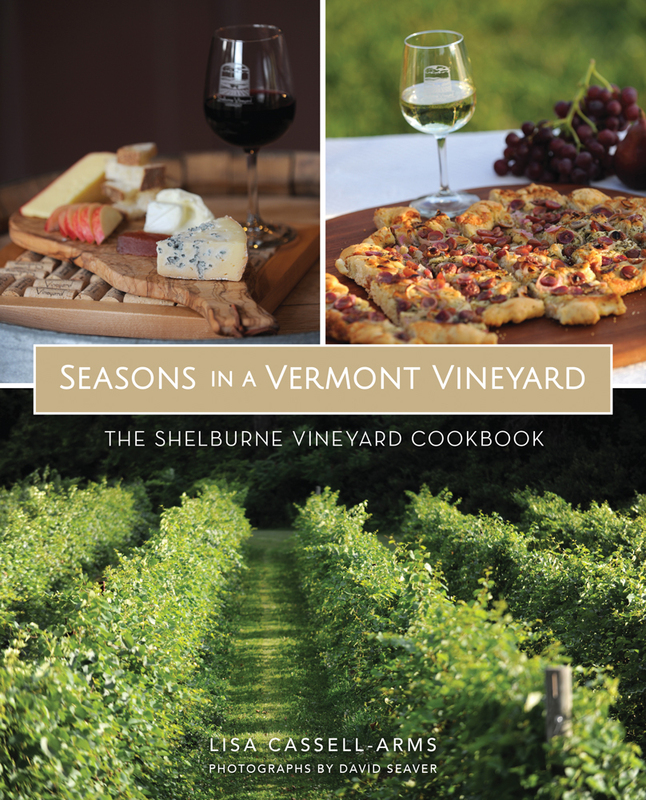 Check it out here- The Cook’s Atelier. 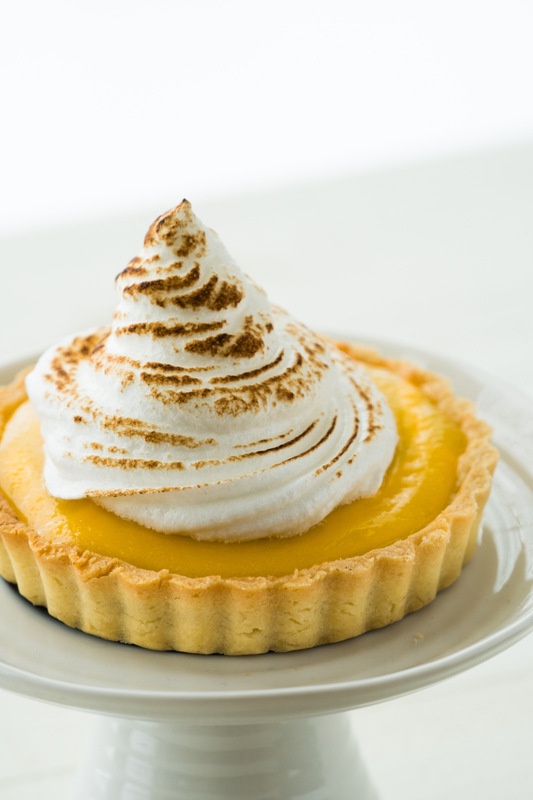 For the meringue, I usually make Zoë François’ Swiss meringue recipe -which I think is the absolute best. Her site Zoebakes is amazing too, and also has foolproof and delicious curd recipes. check it out. Take the dough out of the fridge and allow to soften a bit. Divide the dough into 6 equal portions and roll out into circles to fit tartlet pans. 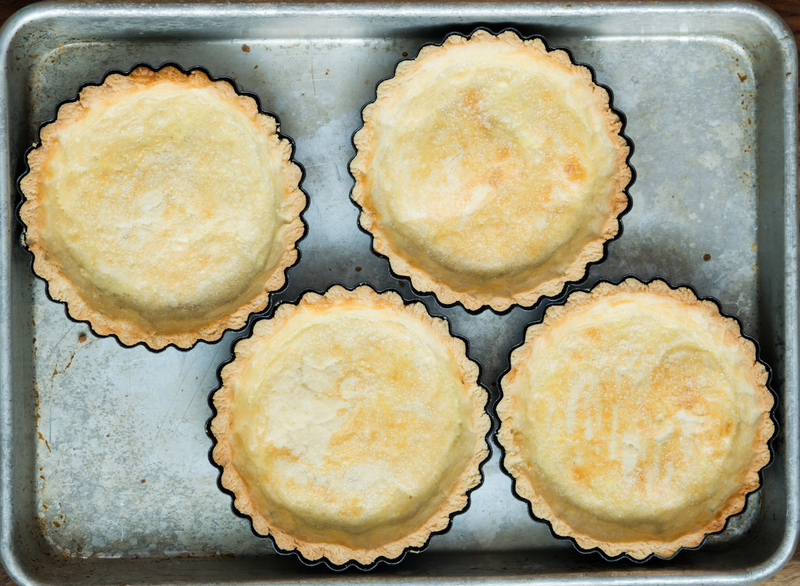 Fit the dough into the tartlet pans and press to cover the bottom and sides evenly. The dough may crumble, just press it into place and flatten with the bottom of a glass. Trim the edge of the tartlets. Freeze the tartlet shells for about 15 minutes. Blind bake the tartlet shells. Cover the bottom of the tartlets with foil and fill with dried beans or pie weights. Bake for about 10 minutes. Remove the weights and foil and brush the inside of the tartlet shells with a bit of egg wash (1 egg yolk whisked with a splash of milk). Bake for an additional 10 - 12 minutes, until the tartlets are baked through and golden brown. Cool completely on a rack. 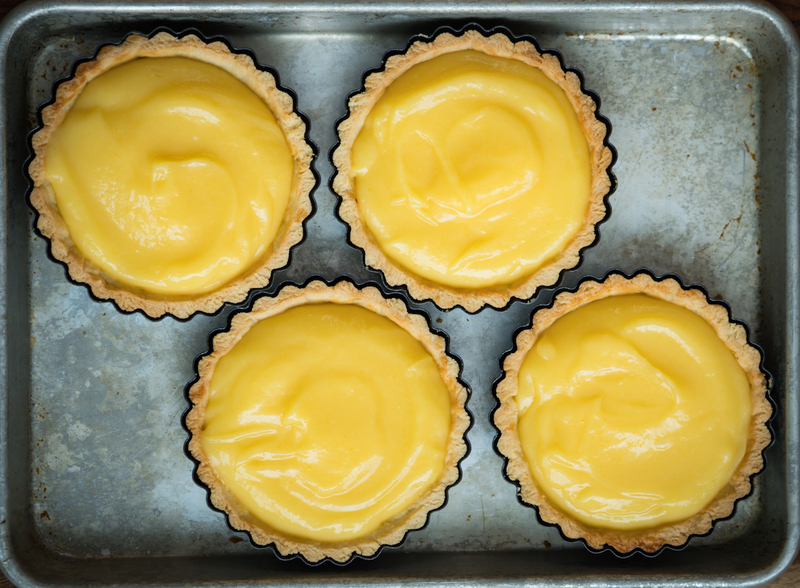 Spoon the lemon curd into the cooled tartlet shells until filled and smooth evenly. Return to oven and bake the filled tartlets for about 10 minutes. Remove from oven and let cool completely. Dollop the meringue on top using a spoon or pipe on in a decorative way using a piping bag. 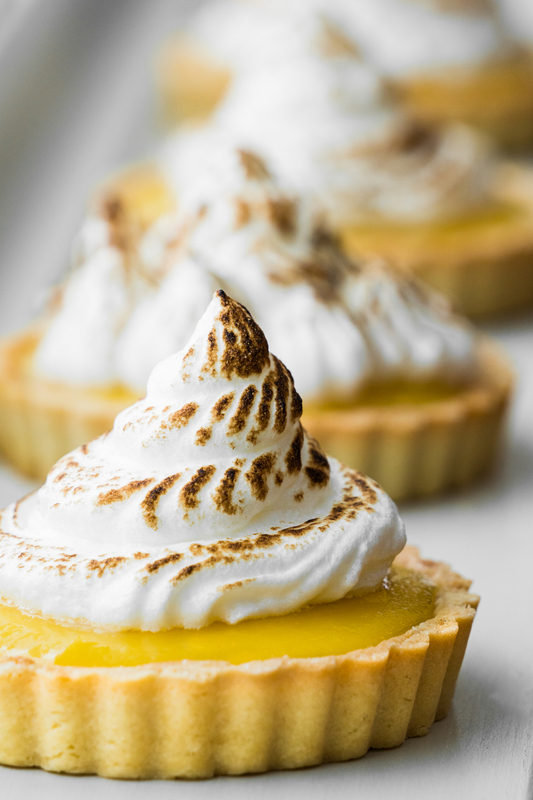 Toast the meringue with a torch if you have one, or pop them in the broiler for a minute or two to brown. Make the lemon curd: In a medium saucepan, whisk together the lemon zest, lemon juice, sugar, eggs, and egg yolks. Place over medium heat and cook, stirring continuously in a figure-eight motion with a wooden spoon, until the mixture has thickened and coats the back of the spoon, 7 to 8 minutes. It’s important to watch it carefully. Once it thickens, it needs to be removed from the heat quickly, or the eggs could curdle. Strain the lemon curd through a fine-mesh strainer into a medium bowl. This is a very important step, as it removes any impurities and ensures that the texture stays smooth and silky. Add the butter, one piece at a time, and stir until completely incorporated. Add the salt and stir to incorporate. 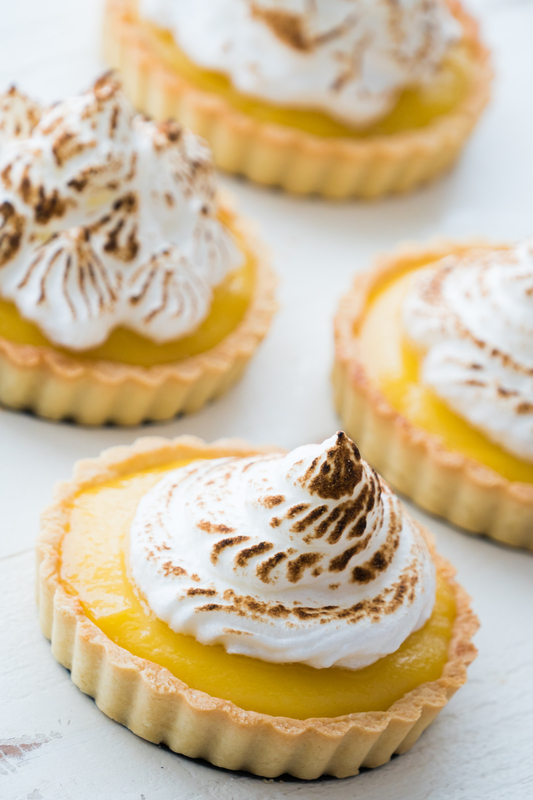 This is the best Swiss Meringue recipe I've used!